Our friendships are growing from all ends of the world, we love receiving fun messages and interactions with you all! Can I show my contest dolls on social media? Judging rules? Contest Rules? YES! We encourage all artists to share their work in anyway they see fit. This is an opportunity for fans and collectors to attend and cast their votes for the People’s Choice Award! Our contests are open to the public contestants must pay their entry fee and a day entry fee or convention pass to attend and participate. Vendors and special guests are encouraged to participate in contests. Please note: Any signs of unsportsmanlike behaviour or bullying before or during the contest can result in immediate disqualification. Start a new hobby, passion or collection. Learn about the world of dolls directly from the artists you know and love. Our IAC Paint Classes includes all the supplies and tools you need to complete a reborn doll. Learn from the best and enter your dolls in our contests! @rebornmomma2017 #giveawaycontest #reborn #dolls #rebornbaby #rebornroleplay #reborncommunity and they have their winners #MaggiesLittleOnesReborns, #ChrisMcConell for the 3 day #Convention #pass at the #iacdollshow in @londonontariocanada at the Best Western Plus Lamplighter Inn & Conference Centre and we are so excited for them. Hope the 2 of you have a wonderful time😊😊. https://www.instagram.com/p/Bt1IpRGF2uK/?utm_source=ig_share_sheet&igshid=1myk3srzktwd look at these little ones fresh out of the Storks Bag from All4Reborns and OOAKs and ready to be #Rebornadopted. 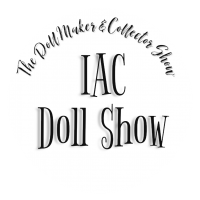 Julia will be teaching at the #iacdollshow in #londonontario May29-May30, 2019. At the Best Western Plus Lamplighter Inn & Conference Centre. Do not miss out on this Team Painting Class for Mother’s and Daughters/Fathers and Daughters/Mother’s and Sons/Best Friends and many others. Matilda, the first reborn Doll world traveller, will be joining us at the show! Foster Mommy Tammy will be bringing her to the show and our Baby Shower Brunch. With the encouragement and blessings of Matilda’s mom, Annette from Miracle Babies Nursery, we will be holding a special Meet n Greet for Tammy and Matilda. Scheduled time will be posted. Our #garden #party #dinner is the talk of the show! We’ve got delicious food, great people to meet and awards to give out! Come and meet some fantastic YouTubers! $95 (CAN).